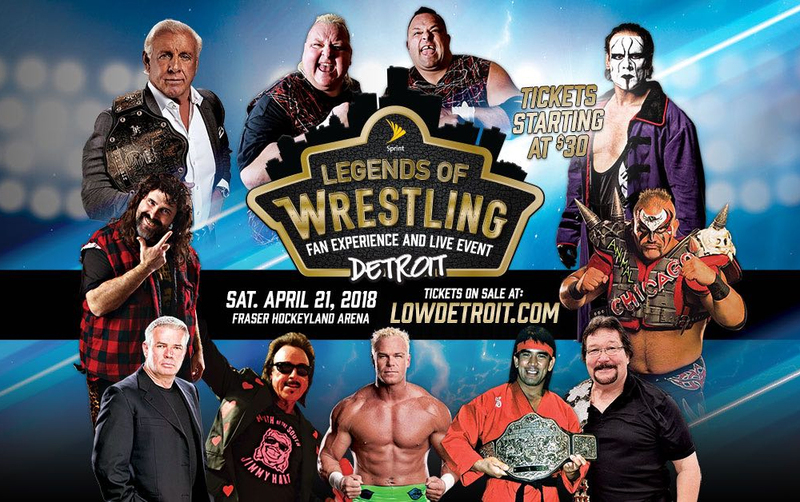 The 2018 Legends of Wrestling Fan Experience and Live Event presented by Sprint will take place on Saturday, April 21st the Fraser Hockeyland Arena. Witness history and live matches featuring ringside appearances by The Legends of Wrestling! Click here to get your tickets.